I just finished the book, The Cool Impossible. Wow, I learned a ton from this book. 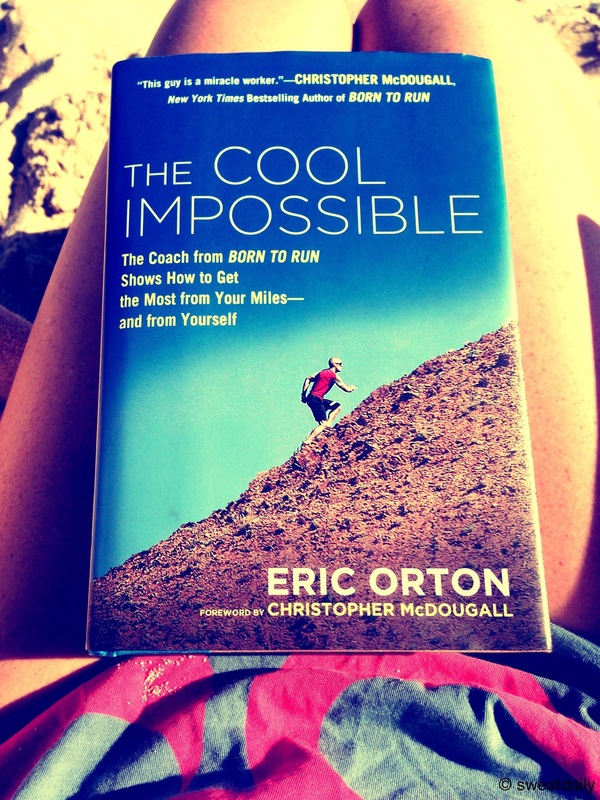 It is definitely on the top of my list of favorite running books, right up there with Eat and Run, and Born to Run. You should read it. There is really great stuff in this book. The first half of the book focuses on preparing you to run physically. The last half of the book focuses on preparing you to run mentally. The advice and knowledge I obtained from the last half of the book is also something I can use in other parts of my life. Some things you learn about running and from running, you can take beyond the trail. The above photo is a great example. 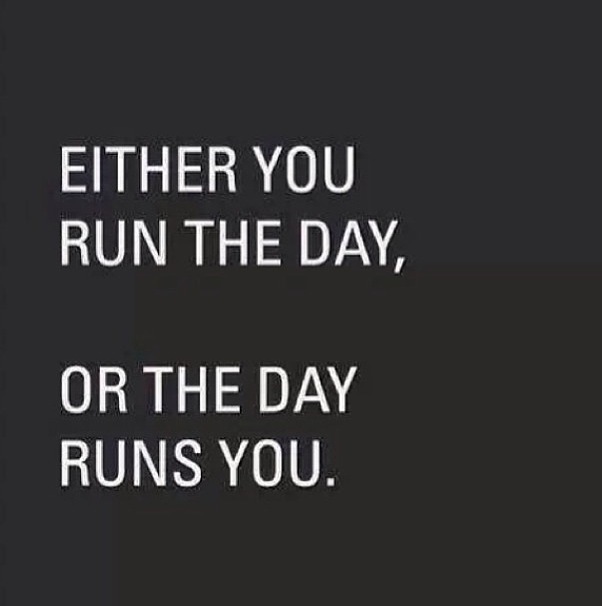 Don’t let the day run you… One thing I am going to work on is better preparation for my runs and for my day. By reading this book, I have learned that before I run a race or long training run, I do things that mentally prepare myself for the distance. These things, mantras, visualizing, and rituals are things I do and didn’t realize I was doing them. Now looking back, I am more aware of these helpful tricks for the mind. Because these have helped me find success, it may be helpful to use them in other parts of my life, including other sports. I am a very positive person. However, the above photo reminds me so much of the book, The Cool Impossible. What I like most, is that the author Eric Orton, says negative thoughts are not a bad thing. 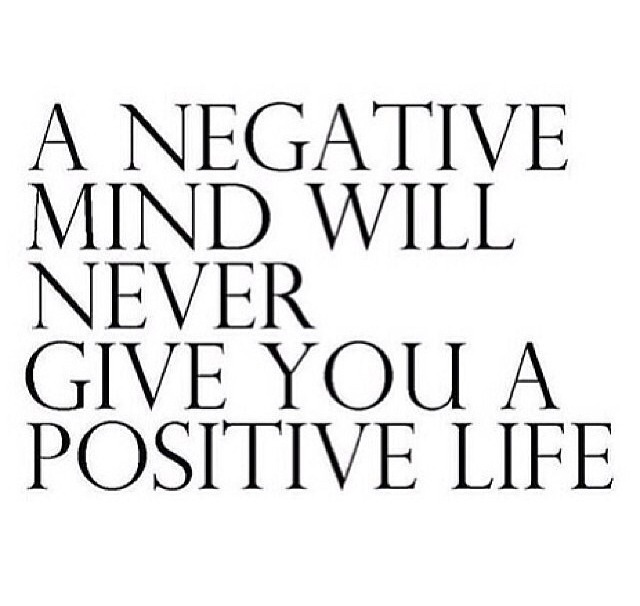 Negative thoughts are a normal thing. However, become aware of your negative thoughts, identify them, and realize they are just thoughts, NOT truths. I ran the day, the day did not run me. This weekend my long runs began. I love running my first long run of the season. All winter, I have been lifting weights and running shorter faster runs. It felt good to get out there and run far. I ran a 10 miler, to help my sister prepare for her half marathon coming up in April. As for me, I have two 10 mile races coming up the first two weekends in April. On this 10 mile training run, I wore my new Newton Gravity. It has 5 lugs instead of 4, which makes it feel like the toe box is wider. 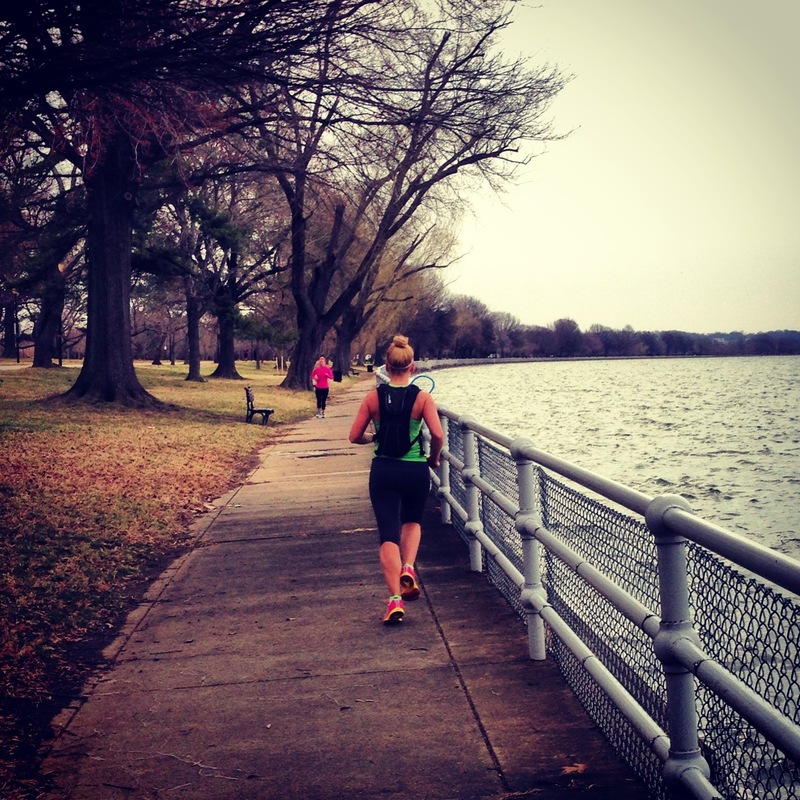 My sister and I ran MVT over the 14th Street bridge and then to Hains Point. 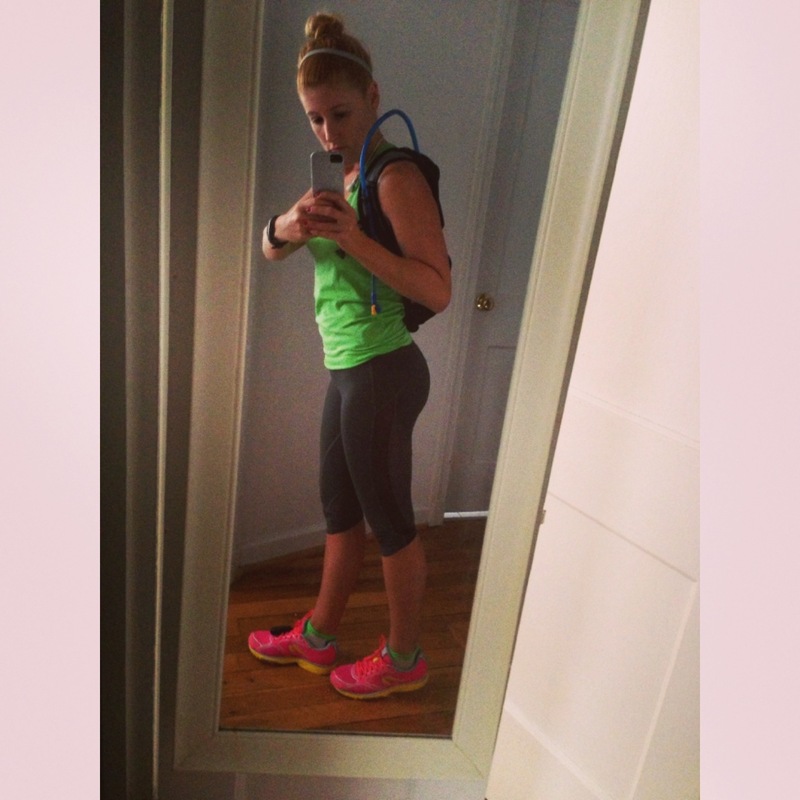 Have your long runs started yet? What are some mental tricks you use that helps you find success during running? This Saturday, I start my travels to Thailand. I am looking forward to escaping this cold brutal winter. I am looking forward to spending my February basking under the hot sun, in 90 degrees Thailand. I am excited to endure the chaos of Bangkok, shopping at the night markets, seeing the skyline view at Sky Bar. I am ready to breath in the beauty and zen energy of the Buddhist temples. Oh and I can’t hardly wait to visit the elephant sanctuaries of Chang Mai or to island hop the Thailand coast. The 24 hour flight I will have to endure to get to my destination – tropical paradise. The longest flight I have ever been on was a 13 hour direct flight from Brazil to the USA. This time I will be flying for 12 hours, switching planes, and flying for another 12 hours. 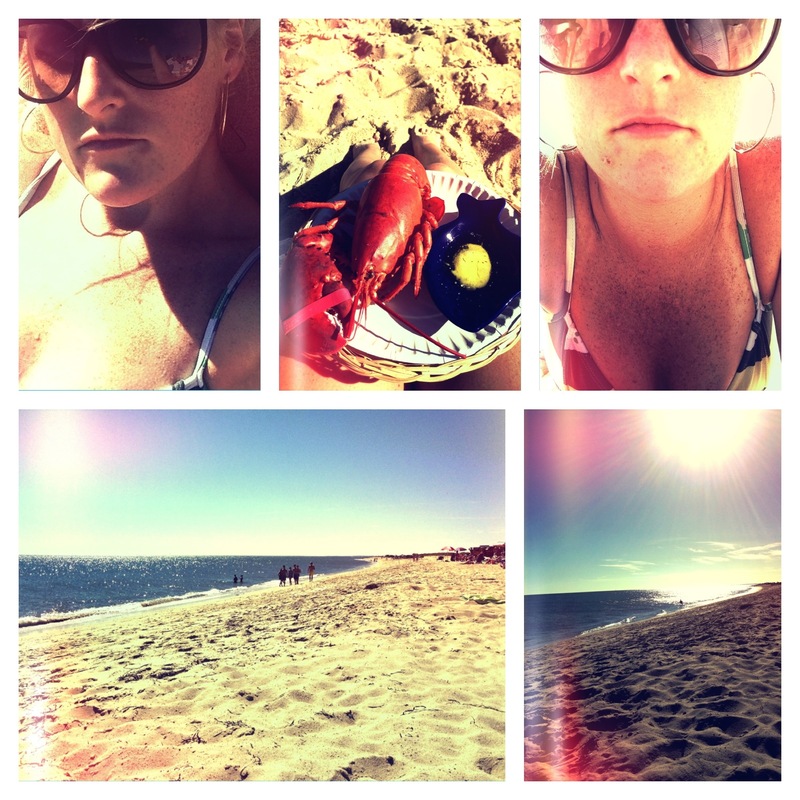 Ugh, sounds dreadful… but well worth it. I guess I will have to keep my eye on the prize, and remember that in the end, I will get the chance to see some of the most beautiful beaches in the world. And who would pass up playing with their own personal elephant in Chiang Mai? So my game plan to keep myself busy while traveling for 24 hours is to read and knit. Because I have been so busy: running, working, holidays, planning this trip, and others for the year, I haven’t had much time to sit, relax, and get my knit on. Sadly, I have only completed one project this winter, fingerless mittens. So I have a really fun knitting project to work on while traveling. It is called the Laura Loops: Salt and Pepper Cowl. This is found on the Purl Bee website. I chose this project because everything about this piece is small, so it will be easy to throw in my carry on bag. When it comes to reading, I have tons of books stored on my iPad. However, the books I have planned to read on this trip are all on running. The Big Book on Endurance Training and Racing, by Dr. Philip Maffetone. What running books are your favorite? What do you do while traveling? For example, I was in Anthropologie and I found Super Natural Every Day, a cookbook written by Heidi Swanson. She opens this book telling us about her home San Francisco. Her descriptions are so lovely, it made me want to move there asap. She also gives us a peek inside her cupboard and pantry. She tells us where she shops for food, as she teaches us the ultimate definition of Natural. As I said before, I was in search for something unique and useful. This book meets those qualities because in this country every day is a challenge to eat organic and vegetarian. My New Year’s resolution for 2012 was to eat one unique exotic food I had never tried before, every week. This made me on a constant quest to seek knowledge on these new foods I discovered. It forced me to go to local farmers markets, my favorite one being the Crystal City Farmer’s Market. I would rush over there on Tuesday, during my break at work. What I loved most about this market is that it was on a weekday so most of the time the farmers were there themselves working the stand. When it comes to Whole Foods verse MOM’s, Whole Foods is much bigger and has more options. However, MOM’s has less imported things, most of their products are more locally grown. It is smaller, but their selection is more exclusive. When it comes to Trader Joe’s, I like it, but I feel like the store has a lot of packaged items, which is not really my thing. I don’t snack much, and although packaged products can be organic or vegan, I much rather get the whole food. So lets get back to the fabulous cookbook, Super Natural Everyday. The title of this book says it all. This is the way I want to eat, cook, live. Every attempt, I have made at being vegetarian has failed in the past because I simply didn’t feel full with out animal protein. This September when I decided to give it a try again, I decided I am not going to label myself as anything. I simply decided to ease into it by having meatless and dairy-free days. Now I am buying fabulous cookbooks like this one, and learning how to cook more vegetarian/vegan meals. The meal I decided to try was her stuffed tomatoes, but instead of using six tomatoes, I used three tomatoes, two green peppers, and two portobello mushrooms. I actually ended up liking the portobello mushroom best. Simply wash them, and clean out the insides only saving the tomato insides. Put those a side in a large mixing bowl. Add shallots, garlic, basil, harissa, olive oil, salt, yogurt, couscous. Stuff the vegetables to the top and cook them for 50-60 mins in a 350 degree hot oven. Now this is what I am talking about! This is a must try delicious recipe, and the best part is that it is a filling satisfied vegetarian dish. For more info on Heidi Swanson you can check out her personal site here. You can also purchase her book, Super Natural Every Day, at Anthropologie. One of my favorite things to do is read, and one of my favorite types of books to read are running books! I just love to learn more, and be inspired. The last running book I read was the best seller, Born to Run. I fell in love with this book. It opened my mind to explore a more minimalist way of running. On Sunday, after my run in my Newtons, I stopped at Barnes & Noble, to check out what running books they had to offer. There I found Chi Running by Danny Dreyer. But then as I continued to scan the shelves I spotted, Natural Running, by Danny Abshire. What? I didn’t know the guy who invented the Newton shoe had written a book. Beyond thrilled, I scooped up both books and ran to the register. Today I will finally get a chance to start reading. I can’t wait to dive in to both of these books. I am hoping I can get a better understanding of natural running, and also find some easy running drills to strengthen my feet and get me running more on my midfoot/forefoot.